If your elderly loved one frequently complains about feeling dizzy, you should pay close attention. While everyone gets a little lightheaded now and then, chronic dizziness can signal something more serious, especially in seniors. Not only can dizziness affect their ability to get through the day doing everything they must to stay healthy and fit, but it can also lead to falls that can injure them seriously. Dizzy spells are very harmful to your aging relative’s health, so don’t wait long to provide them with help. Chronic dizziness is a condition that is the body’s way of signaling that something isn’t right. It can be a side effect of medication, a reaction to malnutrition and hunger, or the result of an infection or another serious health issue. Of course, you must assist your elderly relative in getting to the doctor for a full diagnosis. Common causes of chronic dizziness include dehydration, ear infections, vertigo, low blood pressure, diabetes and as a side effect of some medications. Once you’ve determined the trigger for the dizziness, you can help your aging loved one with the day-to-day challenge of living with it. For seniors with dizzy spells, it can seriously affect how well they can get along in their own home. Dizziness can interfere with standing on their feet for long periods of time, which can prevent them from doing too much around the house. For example, showering or preparing meals may be too much for them to do without falling or fainting. In some cases, they may not even be able to get from room to room without endangering their health and wellness. If this is affecting your aging loved one, you should investigate hiring a home care provider to be with them and assist as needed. Home care providers are professionals that really know how to care for aging adults. They are trained in all aspects of senior care, from helping with morning routines to doing light housekeeping tasks. Compassionate, caring and skilled, home care providers are certainly going to bring you and your aging loved one a lot of comfort knowing they are in the home to help wherever they are needed. 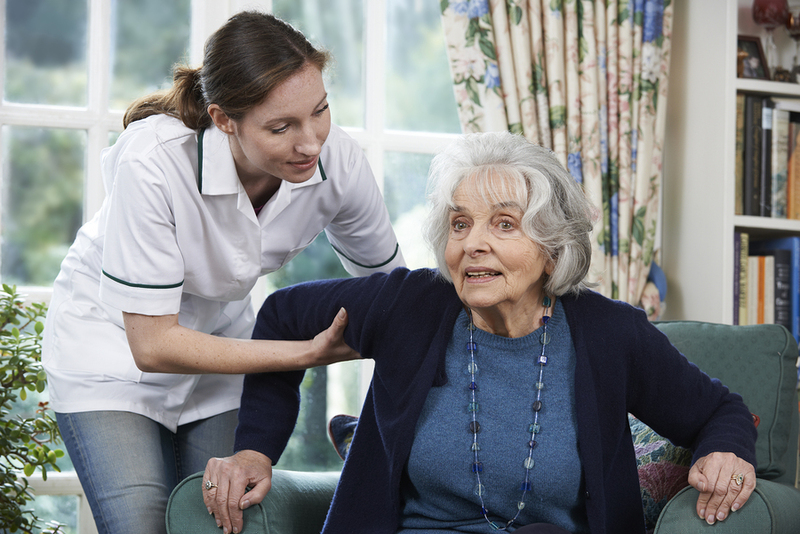 Your elderly relative can rely on the home care provider to assist when they feel dizzy and lend a hand when they have tasks that need to be done but may trigger a dizzy spell. Frequent complaints about dizziness should not be ignored, and your aging relative must get medical attention as soon as possible. Living with chronic dizziness means providing them with the support they need in the form of in-home care from a home care provider. Their health and wellness may depend on such an arrangement. If you or an aging loved-one are considering hiring Home Care Services in Sewickley, PA, please contact the caring staff at In-Home Quality Care today.